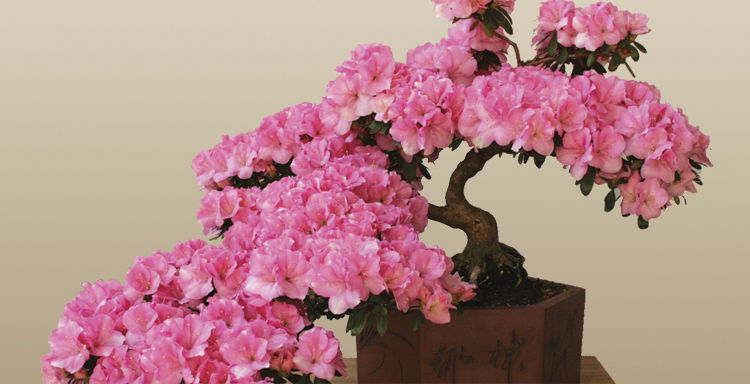 Demand for bonsai trees is booming thanks to growing interest in Asian art. Every February tens of thousands of visitors descend on Tokyo's Metropolitan Art Museum to eye some prime specimens of one of Japan’s most popular arts. Only you won't find the crowds indoors because the real action is out in the museum gardens where the country's top tree stylists battle it out for honours in the Kokufu Bonsai ten, the largest and most prestigious bonsai show in the world. In Japan a bonsai competition like Kokufu typically involves a panel of 16 judges who can argue the aesthetic virtues of a Japanese five needle pine versus a dwarf flowering quince. But as bonsai appreciation spreads rapidly across the globe, the Japanese can no longer lay sole claim to such devotion. Bonsai, which simply describes the growing of a dwarf tree in a tray, now scoops gold medals at the prestigious Chelsea Flower Show, while Europe has emerged as a leading centre for bonsai innovators who challenge traditional Asian growing and styling techniques. Closer to home, one of the first permanent public bonsai collections to be established within a national arboretum recently opened its doors to the public as part of the pre-eminent Floriade Canberra Flower Festival. And according to Thor Beowulf, principal bonsai artist at Sydney's Bonsai Exotique located in the high end shopping precinct of Queen Street, Woollahra, bonsai is booming in Sydney thanks in some measure to the city's growing interest in Asian art. "If you are an Asian art collector, and Sydney is the major centre for Asian art collecting plus the Art Gallery of New South Wales has its Asian art gallery, you're likely to be involved in bonsai," he says. The shop and nursery is regularly approached by advertising creatives hunting out spectacular bonsai for photo shoots and Thor and his partner, visual artist Melissa Beowulf, have observed a growing use of bonsai in the corporate world. From bonsai on loan to decorate a conference rostrum to commercials featuring accountants in business suits clutching the plant, a bonsai is the perfect symbol of cultivated and strategic growth. "And we get a lot of martial artists," adds Thor. I don't know if we should be paying royalties to the Karate Kid because that has actually influenced a lot of people." Films like Karate Kid have certainly helped promote an image of bonsai being synonymous with Japanese culture. But this is not entirely the case. The art actually originated in China over 2000 years ago and was only introduced to Japan by Buddhist monks in the 8th century AD. Likewise, the cultivation of bonsai is shrouded in myths that a new bonsai grower will quickly find debunked. Many assume bonsai refers to a specific species of plant but bonsai are, in fact, real trees and virtually any species, under the right hands, can be moulded into a miniature tree. The second major mistake is to treat bonsai like indoor plants. Like any healthy tree, bonsais require daily sunlight. Sheltered outdoor locations that receive morning to midday sun are their ideal growing locations. So despite their reputation for being high maintenance prima donnas, attentive daily watering and an annual re-pot is all that a bonsai really needs to thrive. As Thor points out, "They're pretty simple but just like you can't forget to give the dog water and food, you have to do the same things for your bonsai."